Winter is the new spring – at least at the Park Authority. While you might set your sights on a big spring cleaning project, park staff are already hard at work on annual maintenance projects. 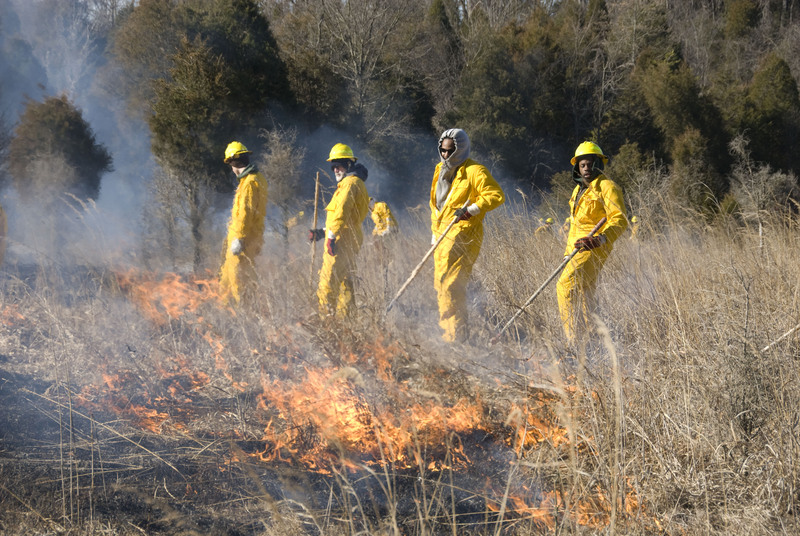 One of those controlled burns took place at ECLP earlier this month in an effort to help manage the park’s meadows. These grass-dominant systems flourish if burned on a regular basis, such as every one to three years. The fire removes accumulated plant debris, heats the seed-bank in the soil, and exposes soil to sunlight. All of this allows native plant seeds to make contact with the soil, makes nutrients available to the plants, removes old material that inhibits new growth, and allows new plants to sprout. You’ll be able to see for yourself next spring and summer. The drop in temperatures and the dropped leaves of wintertime also make it a great time to conduct animal surveys to aid in programs such deer management. Some surveys are done from above. Shafer says airplanes can be used to overfly an area looking for the heat signature of deer during the winter’s cold. Winter conditions improve the staff’s ability to conduct surveys using wildlife cameras, too. Schafer explains, “It’s easier to draw animals to food when they’re not on territory and they would like extra, free calories. So, it’s a good time to do surveys using baiting as a tool.” Survey feeding stations are set up for only short periods of time so animals don’t become dependent on this easy source of food. 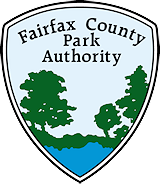 So, think about getting an early start on your spring cleaning, because Fairfax County parks will be spiffed up and ready for you as winter draws to a close. Author Carol Ochs works in the Fairfax County Park Authority’s Public Information Office. 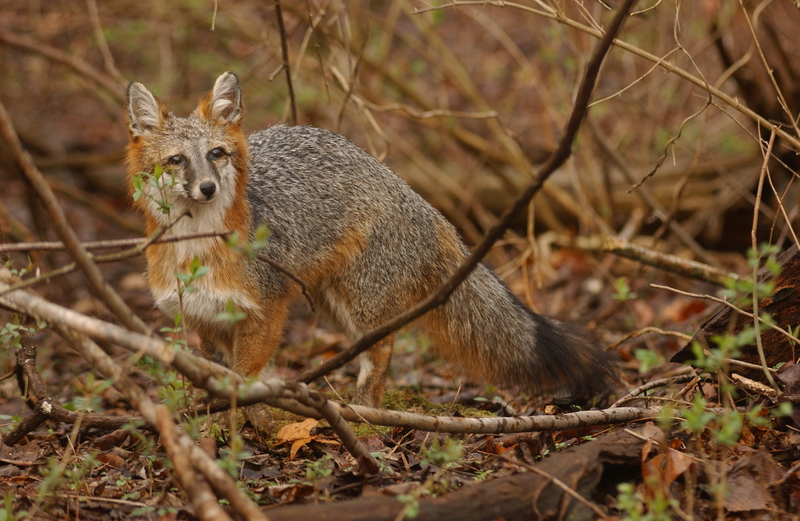 This entry was posted in Uncategorized on December 30, 2015 by Fairfax County Park Authority.